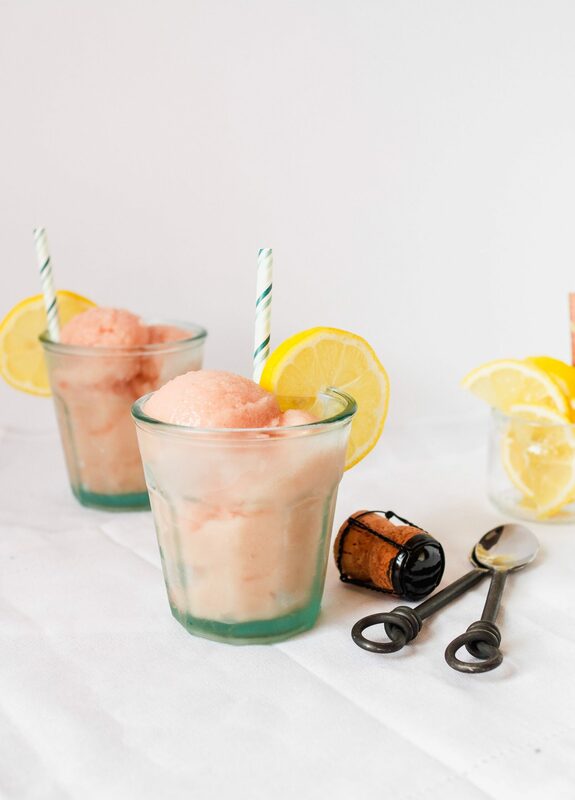 This thirst-quenching Sparkling Rhubarb – Lemon Ice recipe strikes the perfect balance between sweet and tart. 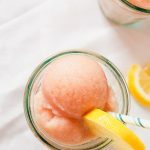 With rhubarb being in season for a fairly short (April–July), I try to use it in recipes I know I can enjoy for a few weeks, or even months. This season I’ve already made a few batches of strawberry-rhubarb compote (perfect on waffles or pancakes) as well as a delicious buckwheat-rhubarb quick bread. 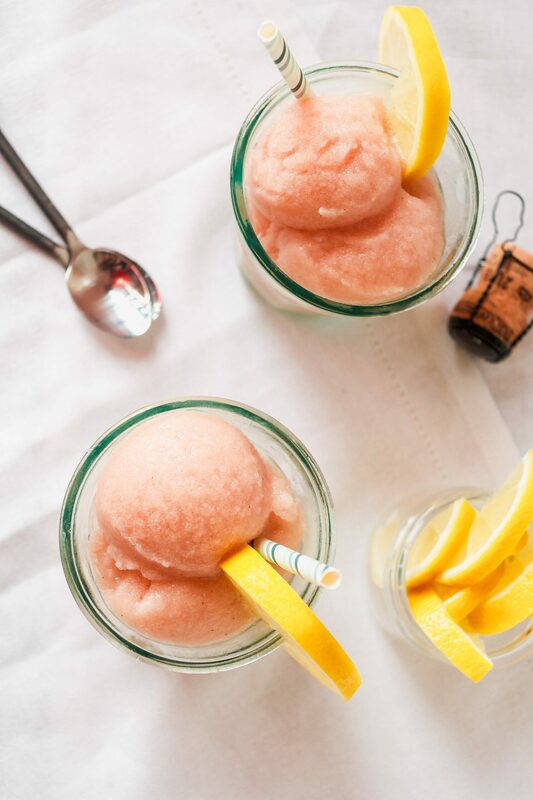 This newest recipe, for Sparkling Rhubarb – Lemon Ice, is so far my favorite. I’m an ice cream fiend so I wasn’t sure how I’d feel about an “ice”. But — for better or for worse — I was immediately addicted. 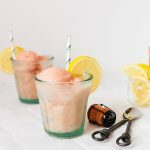 This Rhubarb Ice recipe is definitely tart, but the addition of honey and vanilla-sugar balance that out and add their own nuances. 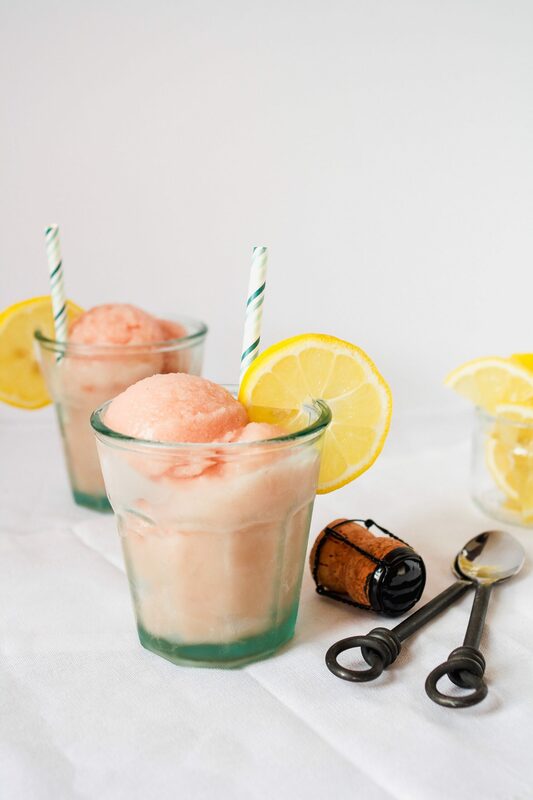 A hearty amount of Prosecco is used in this for two reasons; it adds great flavor and keeps the liquid from freezing solid. 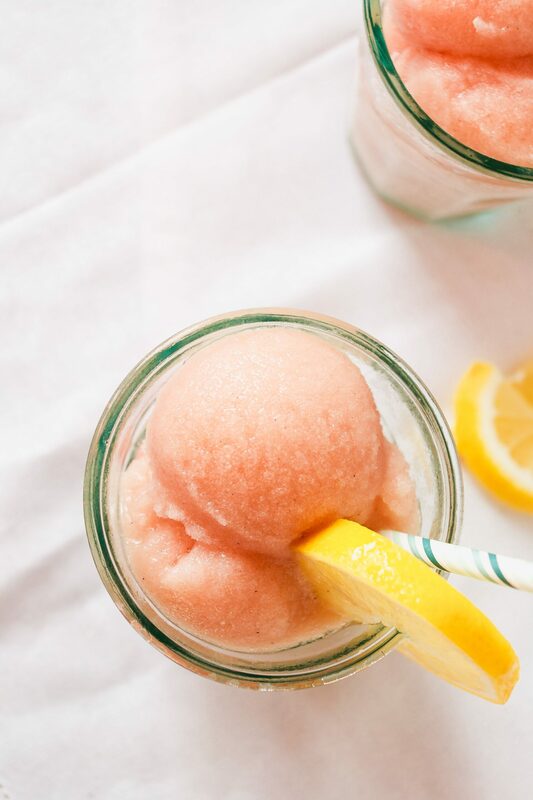 Which means, this refreshing treat can hang out in the freezer for as long as you need and won’t require any “thaw” time. It’s always scoopable (or spoonable if you eat out of the container like I tend to do). I photographed the ice right after processing, so it looks a little softer. However, the longer it freezes after processing, the more rounded scoops you’ll get. And, as you know, I love cardamom, so I added a hefty pinch of it to the Rhubarb Ice, but it’s not necessary. 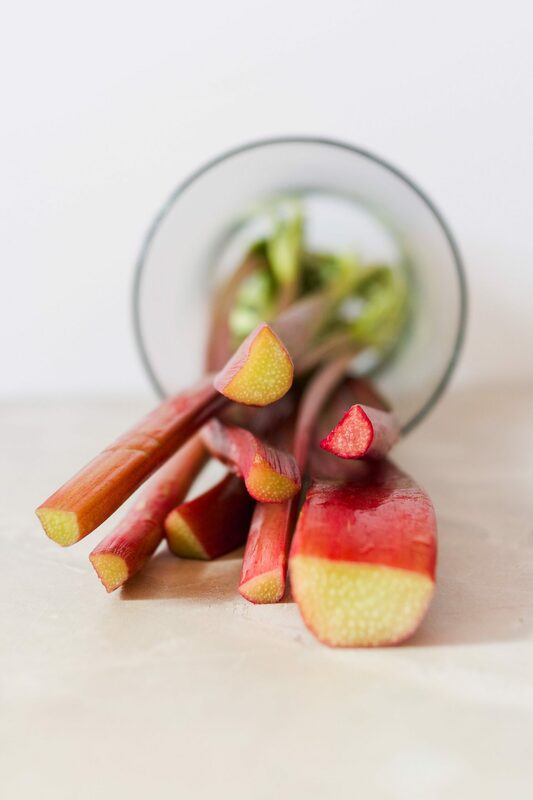 Combine rhubarb, water, honey, and sugar in a medium saucepan, bring to a boil, then reduce to a simmer and cook until rhubarb is soft, about 5 minutes. Transfer rhubarb mixture to a blender and blend until smooth then strain through a fine mesh sieve into a large bowl. Stir in Prosecco, lemon juice, cardamom (if using), and salt. Ladle mixture into 3 ice cube trays and freeze at least 3 hours or up to 5 days. Meanwhile, freeze a medium glass or metal bowl, food processor workbowl, and food processor blade at least 30 minutes. Attach workbowl and blade to food processor. Working quickly, and with one tray at a time, use a dinner knife to loosen the cubes out of the trays and into the chilled workbowl. Pulse cubes until mixture is smooth and creamy, 18–20 pulses. Transfer mixture to chilled bowl and freeze while processing remaining 2 trays. Serve immediately, or transfer to an airtight container and freeze until ready to serve. 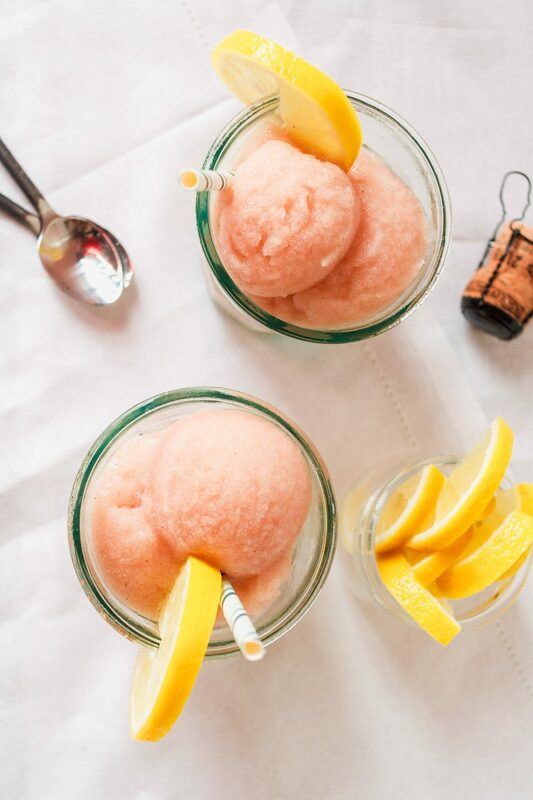 Sparkling Rhubarb – Lemon Ice lasts a few months in the freezer. You can buy vanilla sugar but it’s incredibly easy to make at home and reduces waste. It’s simple; don’t throw away your used vanilla beans. Fill an airtight glass jar with granulated sugar, then bury your used, split vanilla beans in the sugar, cover tightly and let sit for 1–2 weeks, but the longer the better. As you use vanilla beans, just keep adding them to the sugar, or make another batch. 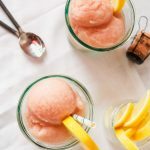 I am loving rhubarb this season too! 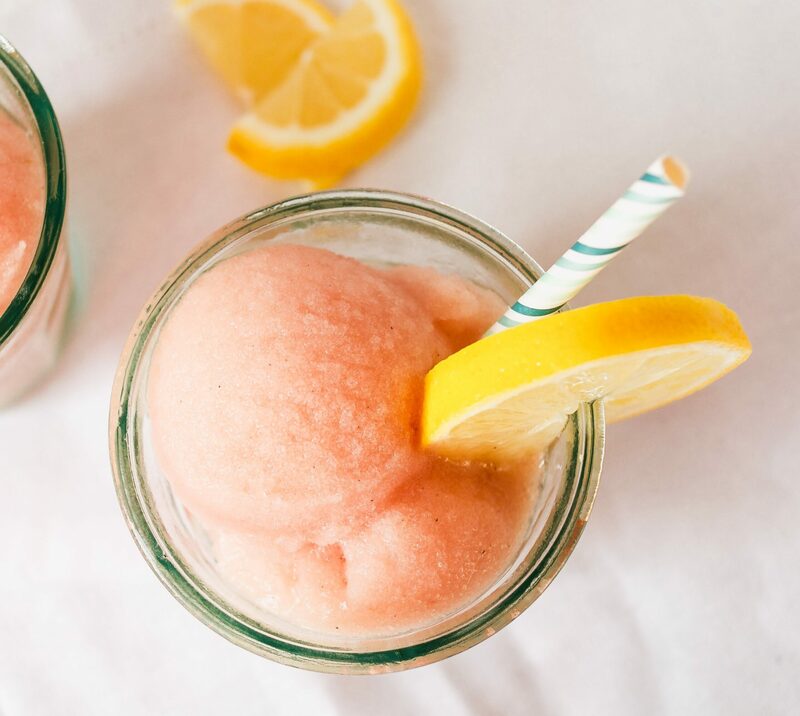 It looks like it’s finally warming up around here, so these would be the perfect way to keep cool! So many great ways to put rhubarb to use in the kitchen, love it!